California Live Scan Fingerprinting Centers (CAL-LIVE) have several FINRA Ink Fingerprint locations. Majority of our FINRA Ink Fingerprint locations have hard copy fingerprint cards onsite. The CAL-LIVE network believes in best practices procedures for both inkless electronic fingerprinting (Live Scan) and manual ink fingerprinting. The standard FBI FD-258 Ink Fingerprint Cards are commonly used as approved “alternate” for the pre-stamped FINRA Ink Fingerprint Cards. CAL-LIVE’s fingerprinting services are consistent with applicable federal laws, Federal Bureau of Investigations (FBI) and Financial Industry Regulatory Authority (FINRA) requirements and compliance procedures. We take pride in providing verification process to include providing high-resolution fingerprint rolls that will be accepted by the FBI. Thus, offering traditional, flawless, ink-rolled FBI FD-258 fingerprint cards or any other prescribed ink fingerprint card format as required by our clients. All of our Fingerprint Roller Technicians are highly trained, to include certified and approved by the Departmental of Justice (DOJ) and FBI. One of our beneficial services to clients is our Mobile California Live Scan & Ink Card Fingerprinting service provider is our flexibility. 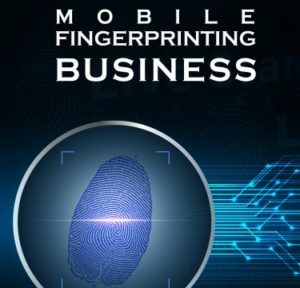 Utilizing our Mobile Fingerprinting services immediately resolves any concerns of finding reliable FINRA Ink Fingerprint locations for your staff. Contact us today and ask to speak with one of our Coordinators, California Live Scan Fingerprinting Centers 888-498-4234. Our Mobile/Travel Fee are competitive. Contact us at (888) 498-4234 to learn more. Mobile/Set-up fees are non-refundable and required upon initial appointment. We offer you flexibility, you can schedule your appointment online; in addition, walk-ins are welcomed at most of our Live Scan centers. To learn more or to schedule an appointment, contact us today at (888) 498-4234; you can also visit us at http://LiveScan-Fingerprinting.net. California Live Scan Fingerprinting Centers is providing a limited time offering of $49 Live Scans to IHSS Elder Care Providers. Walk-ins are welcomed but appointments are preferred. Did You Know?… The State of California have sent out notices to In-Home Supportive Services (IHSS) Providers stating that individuals who do not complete the enrollment requirements by December 31, 2010 will be terminated and will not be eligible to receive payment from the IHSS Program for authorized services provided to recipients after December 31, 2010. Don’t jeopardize your eligibility and payment status with the IHSS. Information provided on the California Department of Social Services (CDSS) website. Click Here to learn more. Contact us today at (888) 498-4234 to schedule for an immediate appointment or just click the button above. California Live Scan Fingerprinting Centers are making a conscious effort in becoming your first and only choice in performing Live Scans for In-Home Support Services (IHSS) Providers. We are pleased to continue show our support for IHSS Providers by continue to offer one of the lowest rates. WHY PAY MORE? Such services can range as high as $70. Come to one of our California Live Scan Fingerprinting Centers. Contact us today at (888) 498-4234 to schedule for an immediate appointment or just CLICK HERE. There may be various times of the year when your organizations has large number of applicants that require Live Scan Fingerprinting in a very short period of time. Our California Live Scan Fingerprinting Centers can effectively address your organization’s immediate and future needs. Our Live Scan Mobile Service (Mobile Live) provides on-site electronic fingerprinting for as little as ONE (1) or more applicants. Appointments are recommended, but same day service is also available. However majority of our clients do take advantage of our short turnaround time, in most cases requiring as short as a 4-hour window of an advance notice. Service is available seven days a week at hours that best suit your schedule. Having on occasion multiple Live Scan Fingerprinting units on-site reinforces with our clients that we are Reliable, Motivated & Fast! Contact us for information on mobile fingerprint rolling fees and our “VIP Repeat Service” discounts.